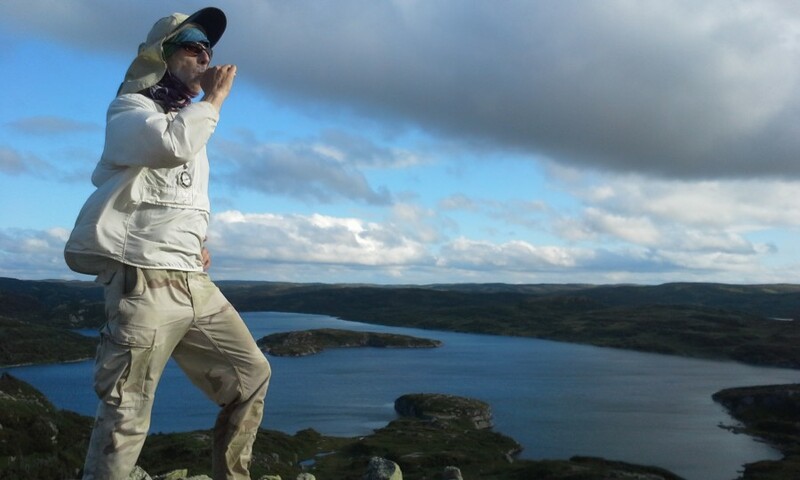 Mungo sent me some pictures from the hiking trip he and Neal did in Gros Morne National Park. Apparently, Newfoundland has leviathans. 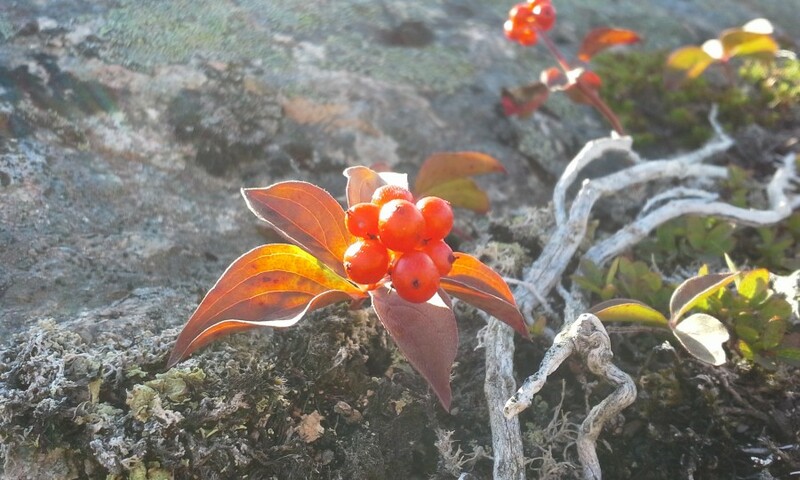 Not my region, but it really looks like a dogwood relative, so my guess is that it's creeping dogwood, Cornus canadensis aka bunchberry. Fantastic pics! 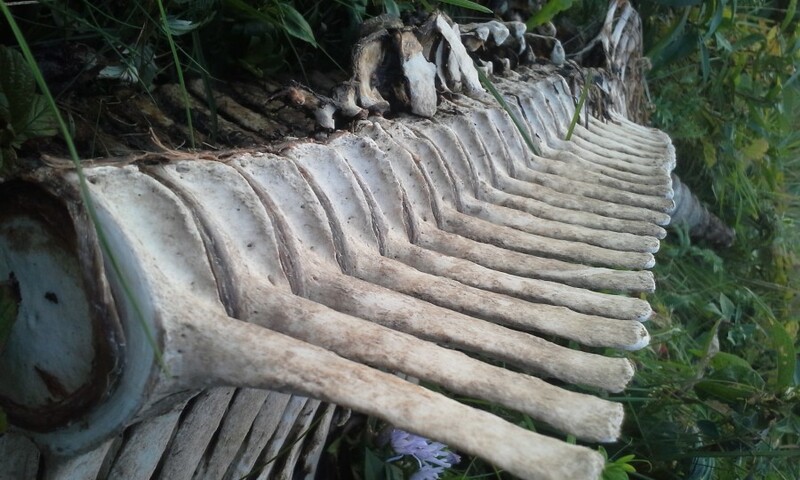 There are a few ginormous bits of whale skeleton here on the north coast of California, too, and it's always startling how absolutely enormous they are. The plant looks like dogwood to me. The leaves are right (veining and the color for the NL season), and also the way the berries are clustered, and it's native to the area. And Neal looks a lot like my icon! Lovely pics, thanks for sharing them. The contrast between the muchness of the beast and the tinyness of the plant is delicious. Yes, an ineluctably heroic pose! Neal was brushing his teeth instead of looking all dramatic but you can't hardly tell. It was taken at the top of Gros Morne, where they had dinner on I think the third day. No, they came across it by surprise. I'd be thinking polar bears, but Neal assures me there are no polar bears in the area.